Phoenix Organs The organ has two manuals and pedals with moving tab stops mounted above the Swell manual. There are eight audio channels, seven full range channels and one low frequency bass column. 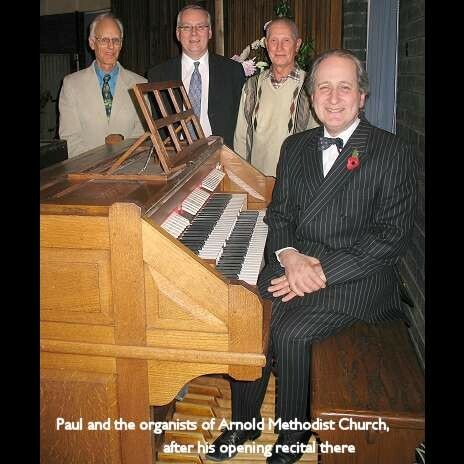 The organ was opened by Paul Hale at a concert on November 14th 2007. The programme for the recital can be found at Paul Hale's web site. 8 channels: 7 channels of external full-range loudspeakers and one channel of powered sub bass.